Do we need to discuss that it is December already?! Time is just flying by! Thanksgiving was great, I ate ridiculous amounts of food and spent some quality time with my family. How was yours? 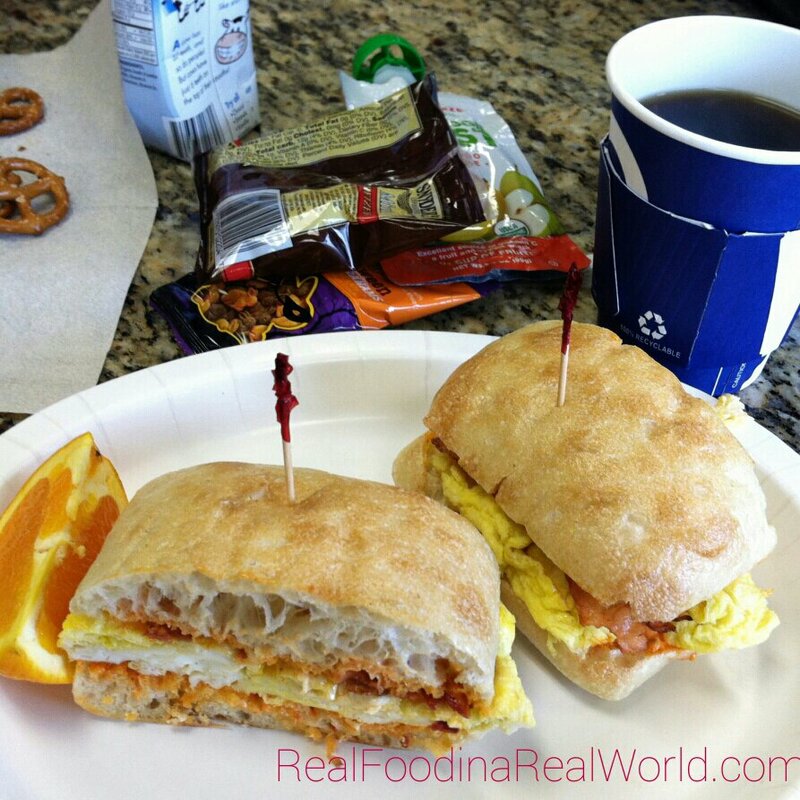 Today I am bringing you another episode of “what the hubby eats” with a few meals from local toddler and myself thrown in. In a perfect world, we would all be eating the same thing and I wouldn’t feel like I am constantly making food. Right now it just isn’t feasible. My husband is working borderline ridiculous shifts at work, I’m eating lower carb and local toddler is just eating…everything under the sun. Our meals are usually similar but one of these days all of our paths will merge! Anywho, let’s get down to the food! 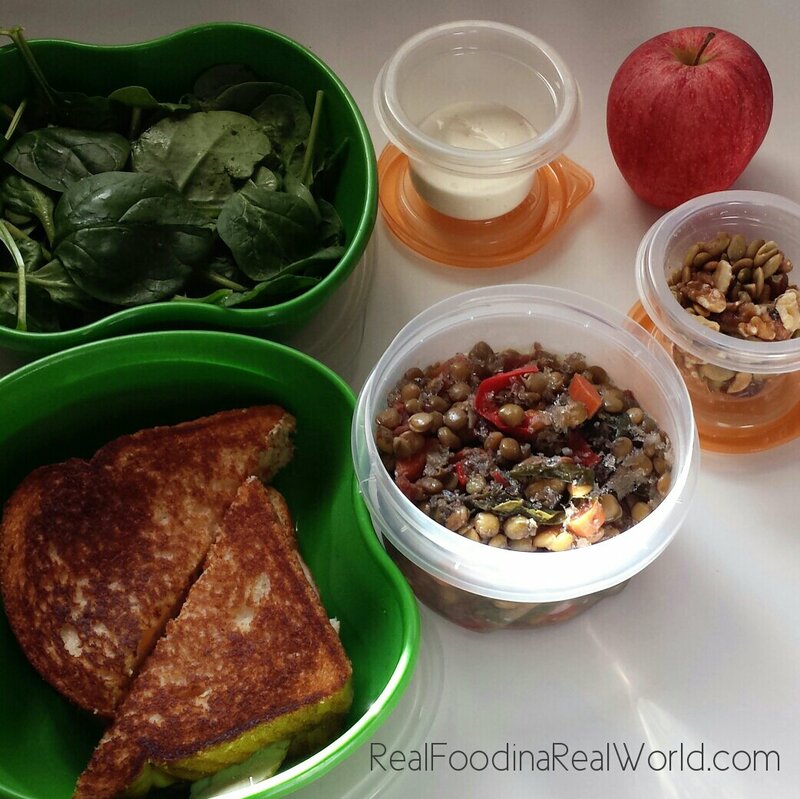 Grilled turkey and cheese sandwich, some (still somewhat frozen) lentil soup, and a spinach salad with walnuts, dried cherries and pepitas. Believe it or not, there is chili under that brown rice! I made a giant crockpot of chili and we ate this several times and stashed some in the freezer. I also threw in some organic tortilla chips (Costco) and a few corn muffins (just Jiffy mix, but I’m working on making my own!) Rounded out the meal with some roasted broccoli! Sometimes we actually dine out! We went out for Chinese food and ended up with a ton of leftovers. 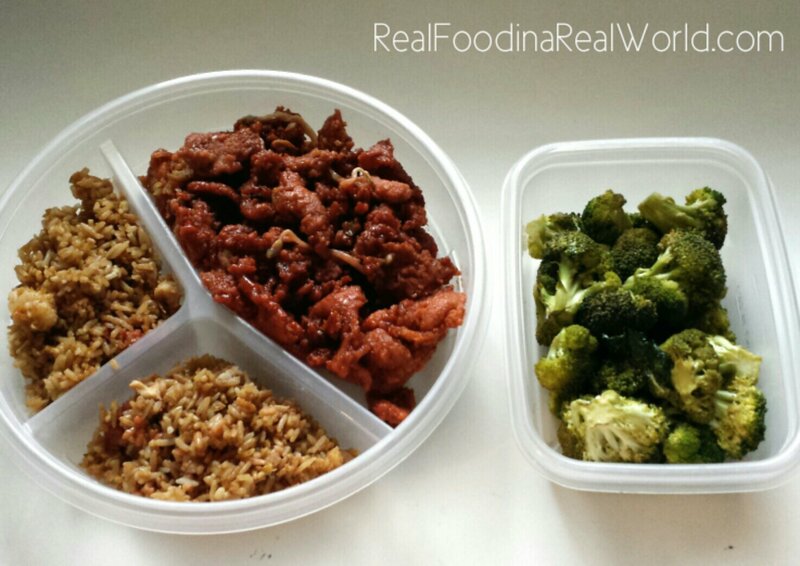 Packed him leftover sesame chicken, fried rice and more of that yummy roasted broccoli so we could pretend it was a healthy meal! Local toddler is a little obsessed with dipping things so I have two pictures from a “dip dip” lunch I made him. 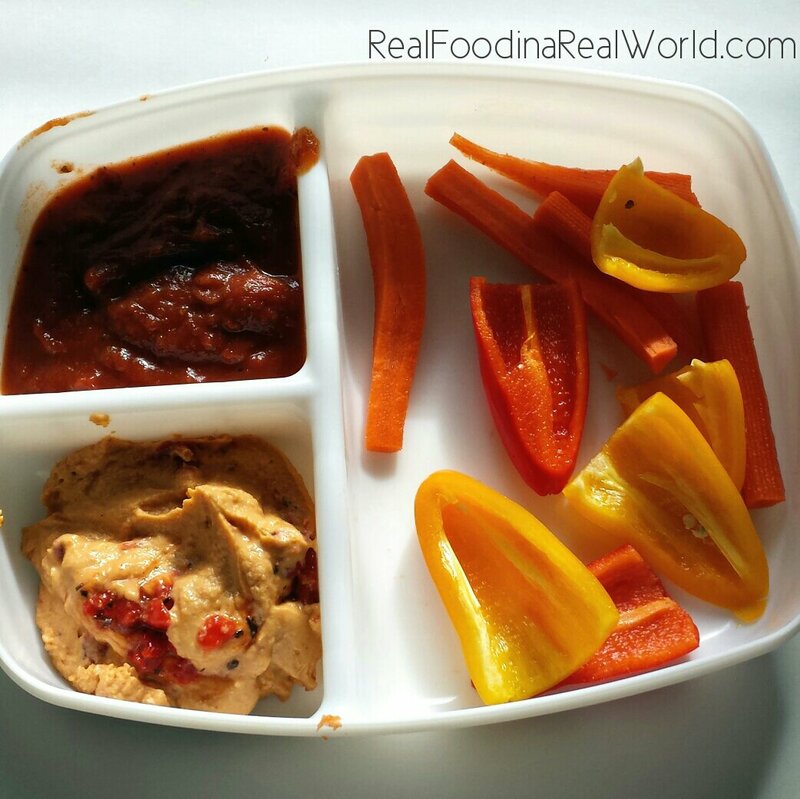 This was cut up bell peppers and carrots with some leftover marinara sauce and red pepper hummus. This is round 2 of the “dip dip” lunch. 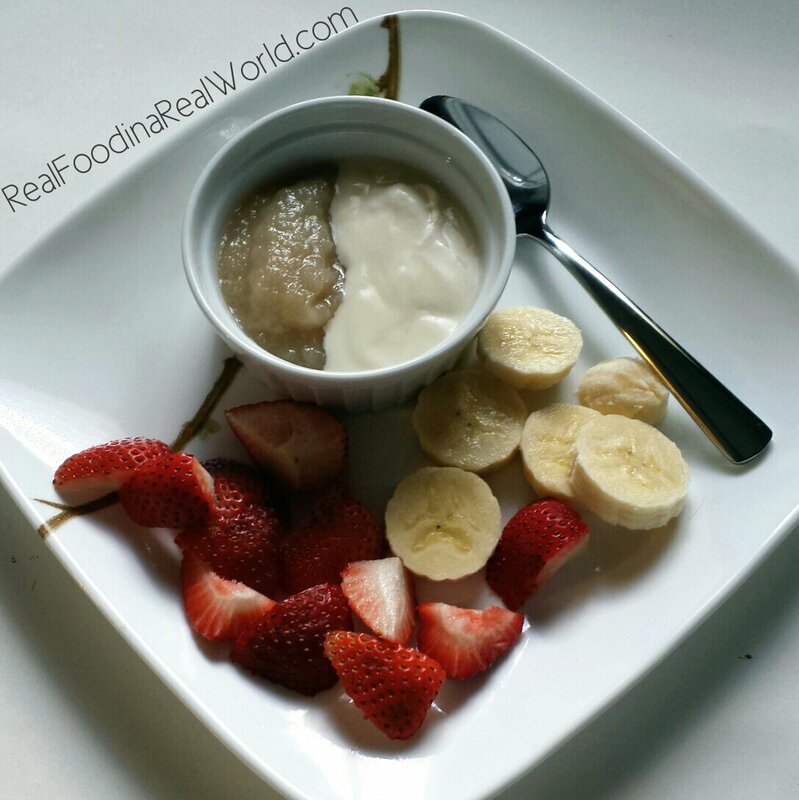 Organic strawberries and banana with half maple yogurt and half home canned applesauce. Delightfully demolished by the kiddo. Not this exact meal, but a good idea of how I typically eat. 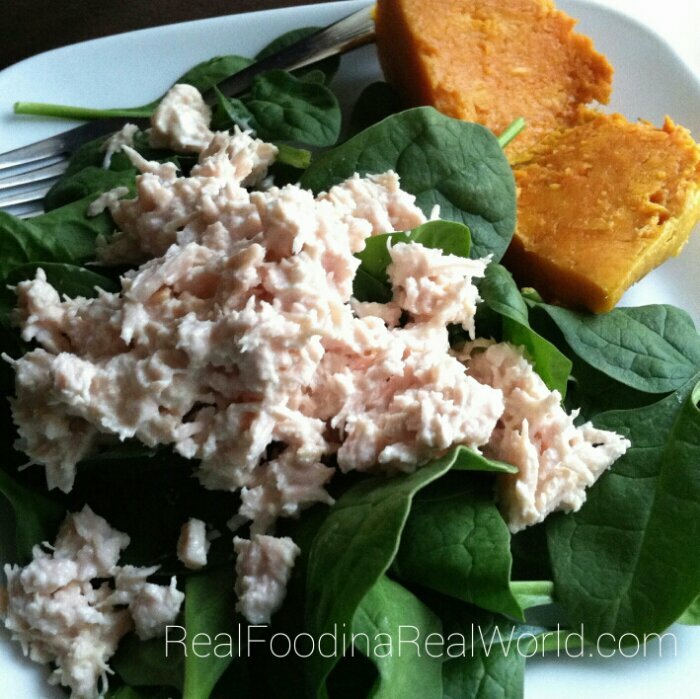 A large spinach salad with some chicken mixed with a little safflower mayo on top and a hunk of a sweet potato. Not super exciting but tasty nonetheless. Local toddler and I very occasionally eat out for lunch and I do eat carbs some days without guilt. We split a bacon, egg and red pepper sauce ciabatta one day. This was “brunch” time so I added in a coffee for me and in the background are his milk box, a fruit/veggie pouch, pretzels and some Annie bunny cookies. 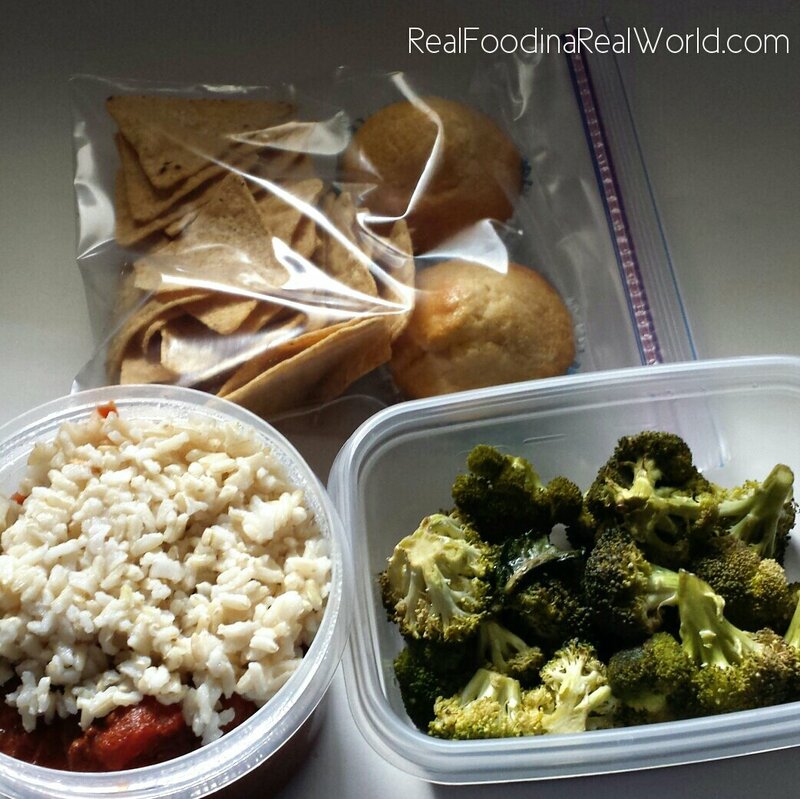 What has been in your lunchbox lately?